So, a quick update: I'm on a singing slow-down for the next few weeks. 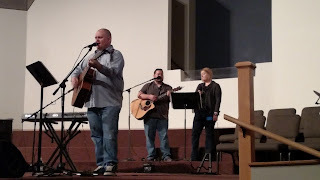 I was sick last weekend, but still managed to lead worship Sunday morning before entirely losing my voice that afternoon. After 6 days of being completely gone, it's slowly returning. It will likely be a few days before I'm singing again. At the end of the month I'll be leading worship for CrossBridge Community Church, whom I played at their commissioning service last Sunday. There's a few weeks of my usual bass gig with Chesterfield Community Church on Sunday mornings, and then a 7 week run back with CrossBridge. Throw in a DJing a wedding reception, and attending (not performing...I wish!) 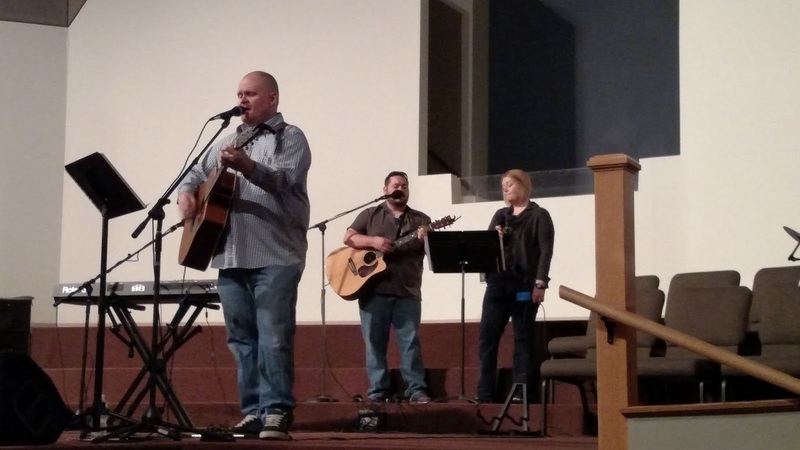 the Worship Together 2016 Conference in Franklin, TN. If anyone down Nashville way wants to throw me a bone, I'll happily play something on Saturday, 2/6. Then it's back home, and time for some potential recording projects, including some of my own stuff, perhaps someone else's solo project or two...and there's a rumor that a once hoppin' band from my past may be doing a reunion recording project. Where ma BSU peeps at?